Although the app is pretty basic at the moment I see it maturing into being so much more. What it does indicate is Microsoft’s commitment not only to mobile devices but also to the range of mobile operating systems. 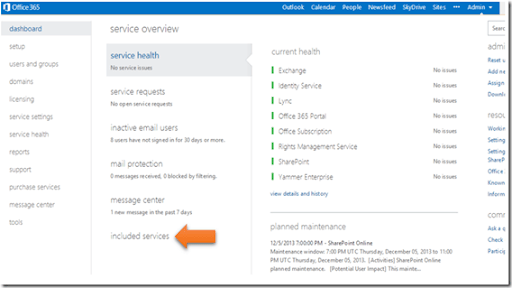 if you have an Office 365 tenant download it to your device today and see what it does. Remember, I think that it is only going to improve. My business partner, Nigel Moore, has just done a quick video on how to use Feedly.com to keep up to date with various content published via RSS. This of course includes our new Cloud Business Blueprint and this blog. Both Nigel and I are big Feedly users because it simply works across so many difference devices. So if you haven’t see Feedly yet, take a look and of course sign up to the Cloud Business Blueprint feed for more updates on what we are doing. A rather interesting stand this one. Basically it is a base with a swivelling base. Onto that base you can either lies the iPad or use it to prop the device up as shown. In portrait mode the stand worked really well I found on the desktop, it was easy to view and could be operated normally. The only downside in portrait orientation is that you can fit the power connector on at the same time (if you want it down the bottom of the device, like I think most people do). In landscape mode the stand held the iPad fine and allowed the power connector to be attached but when you try and use the iPad you find yourself pushing it around the desk. This is because, in portrait mode, the stand width is not wide enough to prevent the leverage you generate working at the edges of the screen. This wouldn’t be a huge issue except you need to push the on/off button regularly. The curved base also supports attaching the stand to something like a chair arm for using when watching TV. It however relies on a strap to hold it steady on the arm of a chair so you’d need to have a chair is a gap under the arm to accommodate this. Not many lounge chairs have this these days so its functionality here is somewhat limited I feel. Overall the unit works well on the desk and provides the functionality to be used in a number of different ways and locations. It is small and light and even folds up if you want to use while travelling. The only other major downside to the small issues mentioned above is that you really need to take it out of any travelling case to use it generally and this can be a bit of a pain. However, if your iPad spends most of its time one a desk or you want a stand to take with you while travelling, then this handy little stand works a treat.